Hprobe speed up development of MRAM and magnetic sensors and reduce manufacturing costs. Hprobe product are dedicated tool for characterization and testing of STT MRAM and TMR Sensors in all phases of the magnetic technology development. – In development, characterize and evaluate your devices using our available test module. – In qualification, build a test sequence for sorting and classification learning. – In production, optimize the test sequence and reduce testing time. 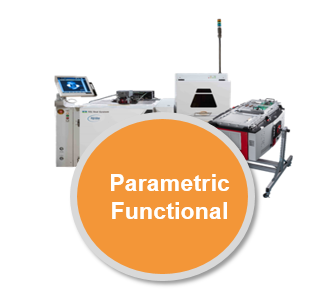 Hprobe design and fabricate turnkey automated testing equipment (ATE) for electrical characterization and testing of integrated circuits under magnetic field such as MRAM (Magnetic Random Access Memory) and sensors. In each phase of the technology and product development as well as during mass manufacturing, a dedicated magnetic tester is available. – During process technology development and for in-line manufacturing process control, the testing is performed on magnetic tunnel junction test structures using IBEX-300-1C and IBEX-300-2C. 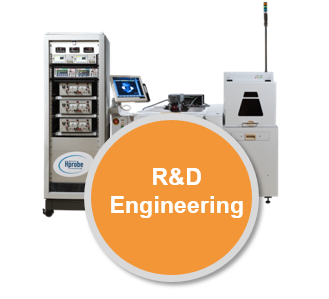 – For product design verification and failure analysis on full CMOS System On Chip (SoC), the IBEX-300-M for wafer level tests is used. – In final testing using mixed signals (analog/digital/magnetic), the testing is made with the IBEX-FD at packaged die level. Etching the stack layers of STT (Spin Transfert Torque) or SOT (Spin Orbit Torque) MRAM devices is critical for the memory performances. With Hprobe 3D magnetic generator, high field sweep in the perpendicular direction is applied on the device to evaluate the STT-MRAM using pre-implemented electrical tests. The control of the memory unit cells could be done directly after patterning the magnetic tunnel junction (MTJ) stack. This approach is best way to control the MRAM devices integrity because you don’t need to run the entire manufacturing process flow to evaluate the memory MTJ cells. This is done in-line and it consequently helps in improving your manufacturing yields. Testing time of silicon chips is critical as it is often linear with costs. Tunnel Magneto Resistance (TMR) sensors need 3D rotating fields to be evaluated and sorted during the production. 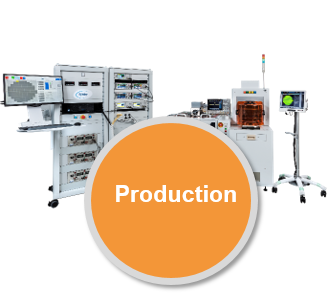 On Hprobe wafer tester, the 3D generator provides high rotating field speed with accurate angle and amplitude control. 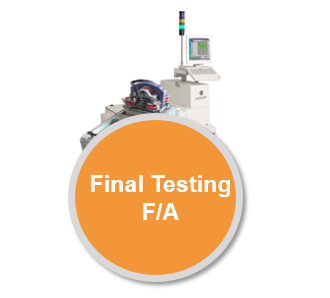 This helps in increasing the wafer throughput during parametric and final testing, and allow to increase the test coverage. Want to have new updates about Hprobe? Follow us!